Woodside, SC: Enjoy golf, dining & more during your discovery. > Woodside, Aiken SC presents a Discovery Package that lets you experience life as a local for three days and discover Woodside and the town of Aiken, for yourself. The package includes accommodations for 2 or 3 nights for 2 guests at a historic inn or hotel, fine dining for 2 at The Reserve Club. You’ll also enjoy a complimentary round of golf, or a game of tennis or pickleball at the racquet complex. Take guest passes to all club amenities plus a Historic Aiken trolley tour (Saturdays only). A private guided tour of Woodside’s many fine neighborhoods included. Send me more information about Woodside! 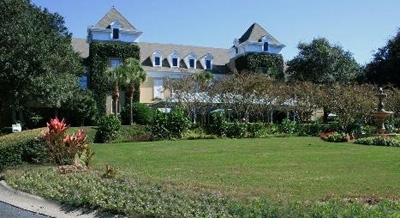 Hilton Head Plantation, SC: Annual party Oct. 27. > Hilton Head Plantation, Hilton Head Island SC is getting set for its annual Fall Harvest Party, happening Sat., Oct. 27 from 1 to 4 p.m. in the community’s Plantation House parking areas. It’s a traditional Halloween-style fun event that’s free for kids age 12 and younger and just $7 for children 13 and over or for adults. 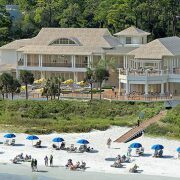 Send me more information about Hilton Head Plantation! WindRiver, TN: Hosting golf tournament Oct. 22. > WindRiver, Lenoir City TN will host the 3rd annual Pat Summitt Invitational Golf Tournament on Mon., Oct. 22. The popular tournament benefits The Pat Summitt Foundation and its search for treatments and a cure for Alzheimer’s disease. Registration and breakfast will begin at 8:30 with a shotgun start at 10 a.m. Lunch will be at conclusion of golf. The foundation welcomes all businesses and organizations to participate and sponsor the event. Send me more information about WindRiver!